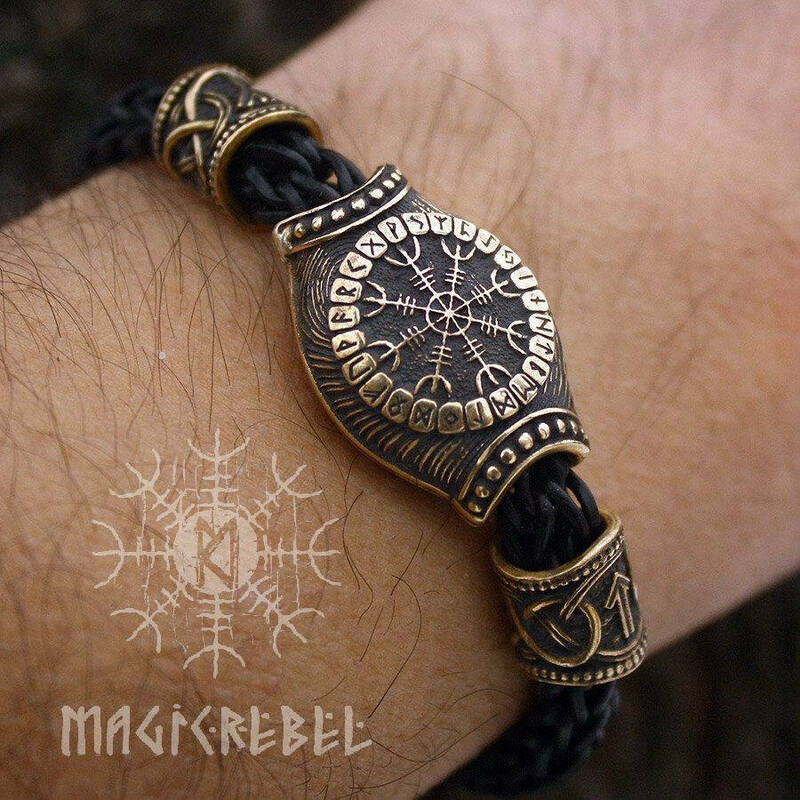 This is a genuine leather handmade braided bracelet with real solid bronze center piece, beads and wolf heads terminals. 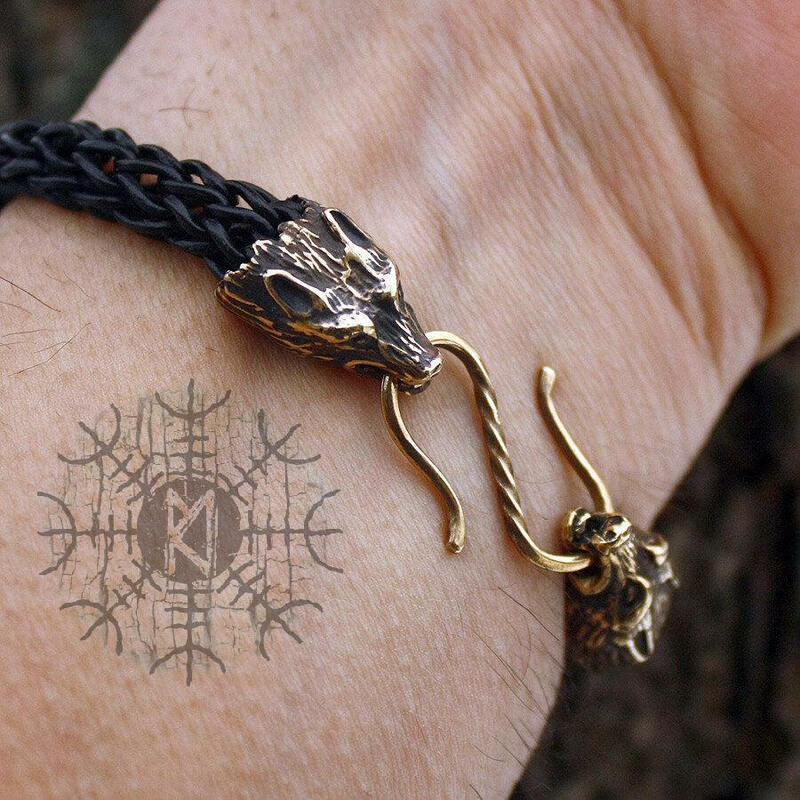 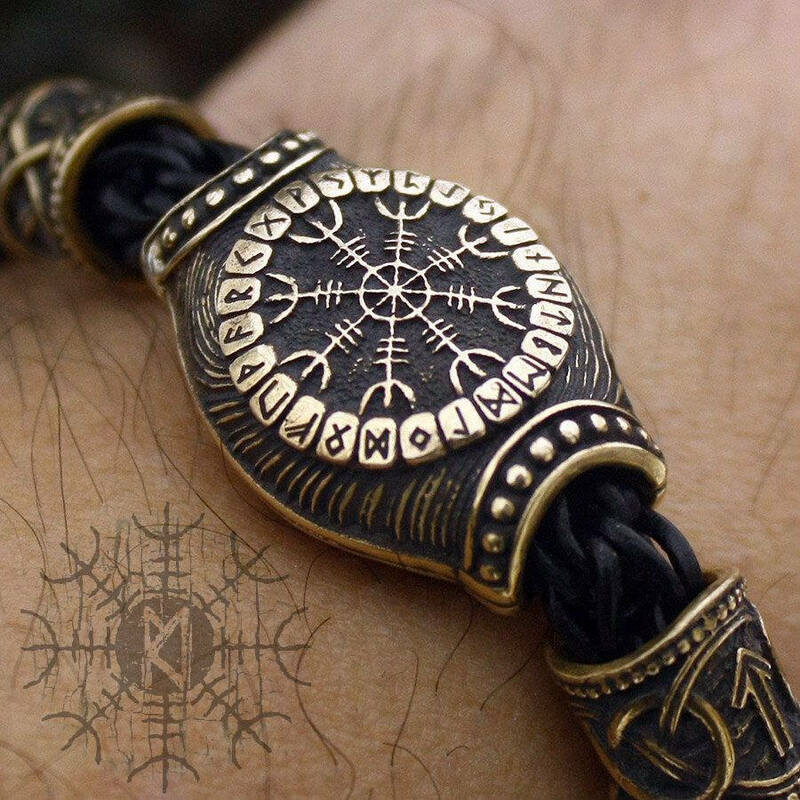 The large center piece bead is double sided featuring a Vegvisir and Aegishjalmur runic staves. 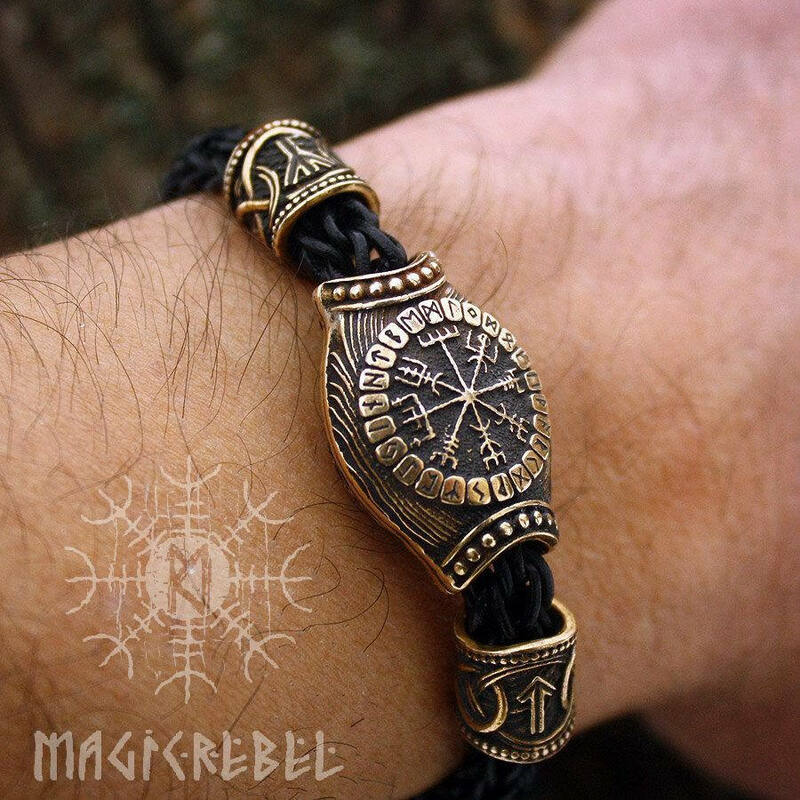 Two smaller beads feather Tiewaz and Algiz runes.